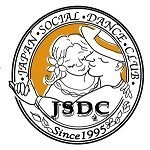 Group Classes - Japan Social Dance Club (JSDC) is a professional dance studio specializing in American Style Social Dance. Come and learn in a fun and welcoming environment. Group classes are a great way to meet new people & develop your lead/follow skills and build your repertoire of patterns. Learning to dance with different partners and many couples on the floor will prepare you for success in any social dance environment. Couples: Rotating is recommended but not required. In our experience, couples that rotate learn quicker and enjoy their classes more. 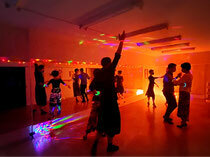 If you never danced before, introductory course is the best way to start! You will get a discount (500yen) when you proceed to the next level with intro Course Ticket . Intro,Course,1-month pass can't use Argenntin Tango class,. Click programs you are interested in. Tuesday 7:00p.m. JSDC Shibuya Private Studio Argentine Tango -Intro.